Who has not had their picture taken in a photo booth at an event or party? Photo booths are wildly popular right now, and it is no wonder. They are a great way to break the ice and get your guests to interact and have fun, plus the photos are a meaningful and easy party gift. The hardest part about creating a photo booth is ﬁnding an original backdrop that works with your event theme. BAM! Tape™ masking tape to the rescue! Seriously. Using masking tape, you can create a unique background for any type of photo booth theme. Since it Spring here in Idaho, I decided to create a flower backdrop. This backdrop is simple and elegant. Perfect for a birthday party, wedding or anniversary. We set ours up for a Woodland Fairy theme. It is important to determine both the height and width boundaries of your photo booth. Otherwise, your backdrop may not ﬁt properly in your photos. What type of camera will you be using? Where will the photographer be standing? Set up the camera and determine the area of the Photo Booth. 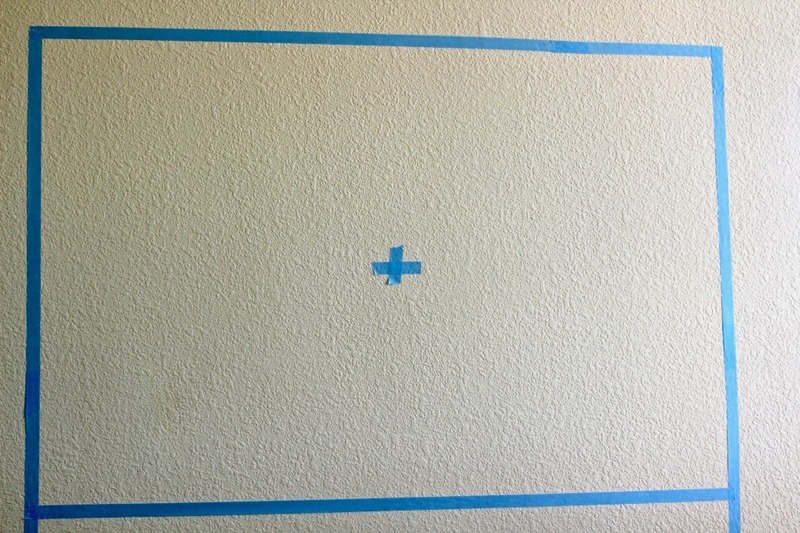 Use tape to “draw” the booth on the wall. Remember to choose a location that has good lighting. I purchased about 10 stems of fake flowers at the dollar store. 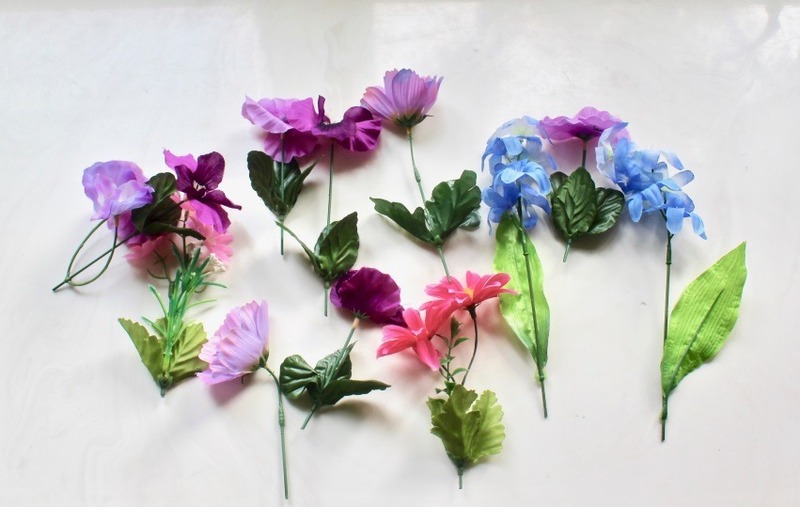 Using wire cutters, carefully cut the large stems into smaller stems with at least one flower on each stem. I got 2-3 cut pieces from each large stem. Be sure to leave enough of a stem so that you have room for tape. Since I want to use the photo booth for more than a couple of hours, I used artiﬁcial flowers instead of fresh. Wilted flowers make for a sad photo booth! Also, some flowers have dye in them that can rub off on the wall. I randomly taped the flowers on the wall within the photo booth boundary. I used purple BAM! Tape™. Choose a tape color that coordinates with your flowers. Take a test picture to be sure that your backdrop is within the photo frame. Remove the tape that is marking your photo booth. To help your guests, you may want to use tape on the floor to mark a box that they should stand in so that they don’t end up outside of the photo frame. Wasn’t that easy? The beauty of the Flower Photo Booth is its simplicity and versatility. Choose flower colors and types that match your event theme. You can go with team or school colors. You can make your backdrop masculine or feminine, playful or elegant. 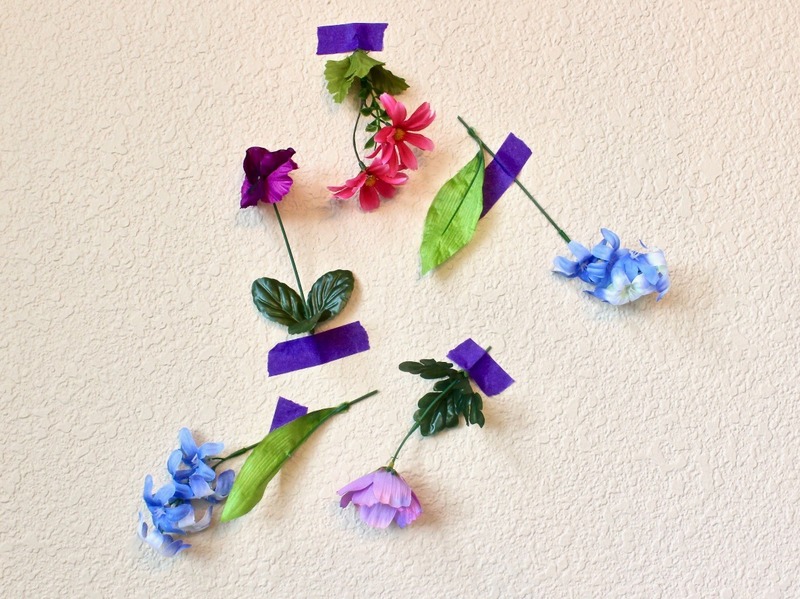 Let your imagination and creativity lead you with this fun, easy, and budget friendly project. 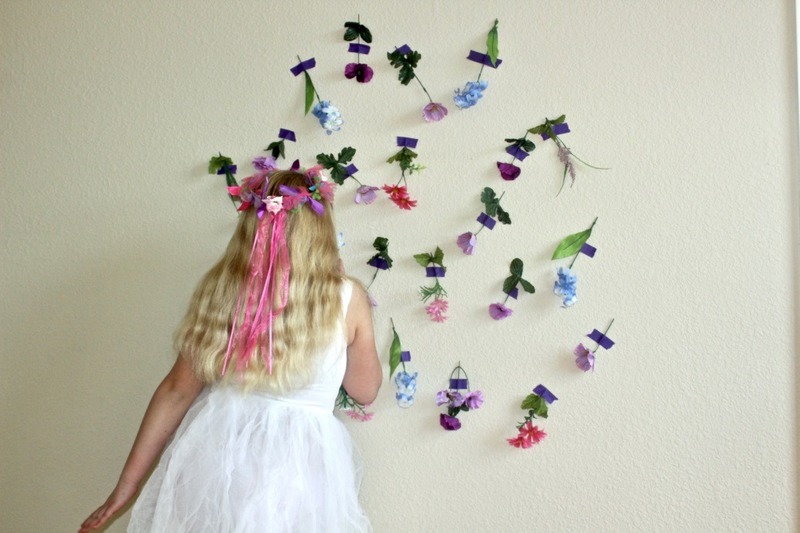 Once your event is over, the backdrop is easily removed from the wall, and if you used BAM! Tape™, you will have no sticky residue to clean up.